The countdown is on! National Geographic Quest sets sail on her inaugural voyage in just 45 days-on June 26,2017!. 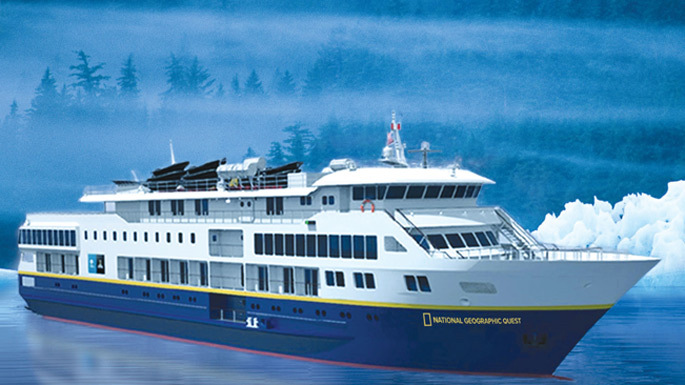 This 100-guest vessel is the first expedition ship of its kind to be made entirely in the U.S., Quest will spend summer and fall exploring Alaska and the Pacific Northwestbefore heading south for the winter to the tropical coasts of Costa Rica & Panama and through the Canal to Belize & Guatemala. Please call 3D anytime for further information, pricing and availability!